You are at:Home»Articles»Bitcoin Cash Set To Join World’s Top 3 Cryptocurrencies? Bitcoin Cash Set To Join World’s Top 3 Cryptocurrencies? Leading cryptocurrencies have been suffering a tumultuous ride in 2018 as the markets have dropped significantly. Most notably, bitcoin (BTC) halved in value after briefly passing the 20K margin back in December 2017. BCH suffered a similar fate, as after reaching an all time high of $4100 in December 2017, it quickly started tumbling with the turn of the year. 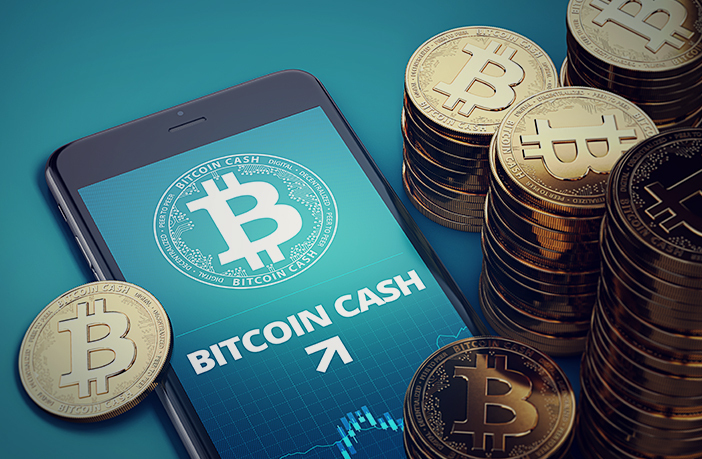 Despite noting a decrease in value, Bitcoin Cash has remained relatively stable. BCH currently has a market cap of $24 billion and a circulating supply of more than 17 million. In the second quarter of 2018, the crypto-markets have shown signs of recovery and some are predicting that BCH could soon be among the top three cryptocurrencies. Bitcoin, Ethereum and Ripple are currently the top 3 largest cryptocurrencies based on their total market cap, but since its inception, Bitcoin Cash has been growing at unprecedented rates. BCH has managed to accumulate an impressive total market cap of 24 billion and is currently threatening to claim Ripple’s claim to third place in the cryptoverse with a total market cap of 29 billion. Cash Consortium (C2) described the cryptocurrency as “the soundest money the world has ever known. It has scarcity, fungibility, divisibility, durability, and transferability.” It should be noted that Cash Consortium uses open standards that allow developers to identify bugs and glitches inside the blockchain’s software. BCH has also undergone a second network upgrade on May 15, 2018, introducing many anticipated updates to the network, including bigger block sizes and the introduction of some exciting new features. The restored OP_Codes will enable tokenization and smart contracts to be executed on the BCH blockchain while more advanced functions will be possible with future upgrades to the Bitcoin Cash network. Experts have predicted that this could be the biggest boost BCH has seen, and could help it push forward to be one of the top three cryptocurrencies in the world. User Steve Shadders, a co-author for re-enabling disabled Op codes, posted on his blog that the reactivation of formerly disabled Op codes is compelling to developers and could bring value to the BCH economy. Outspoken BCH advocate Roger Ver also posted on Twitter that BCH–above all Bitcoin forks–follows Satoshi’s vision!